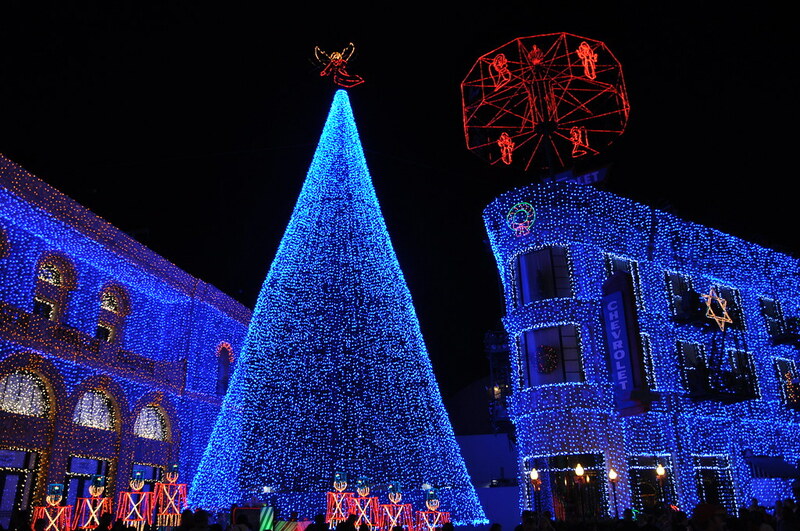 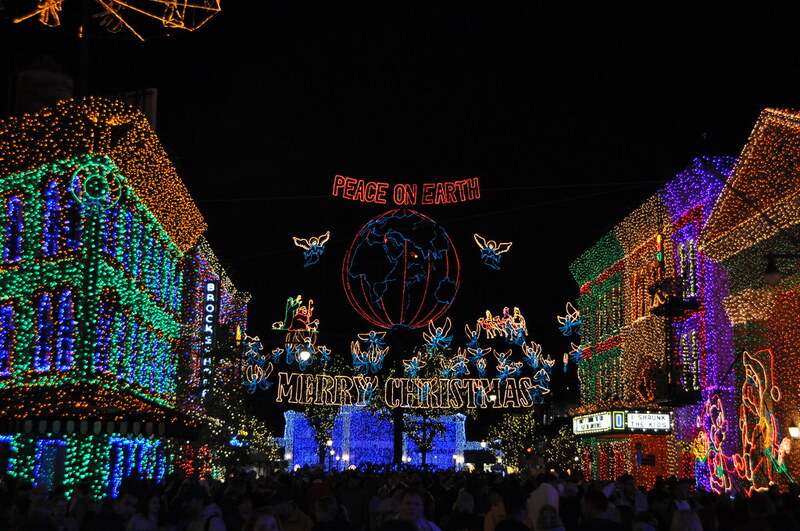 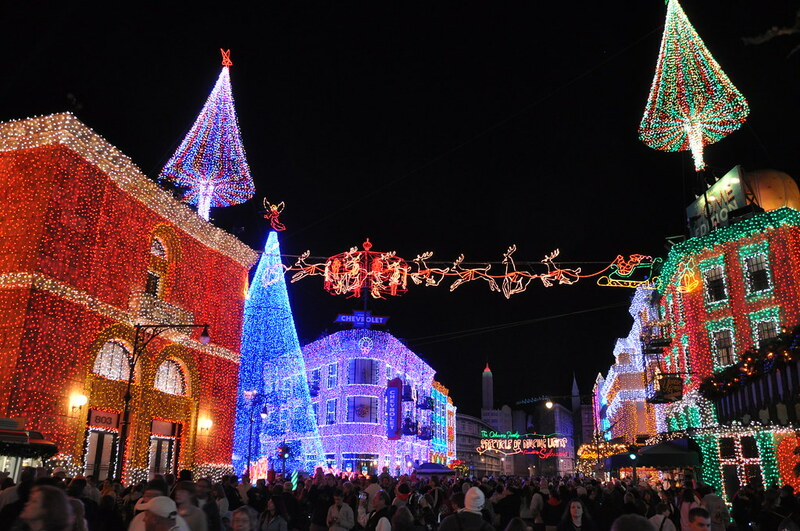 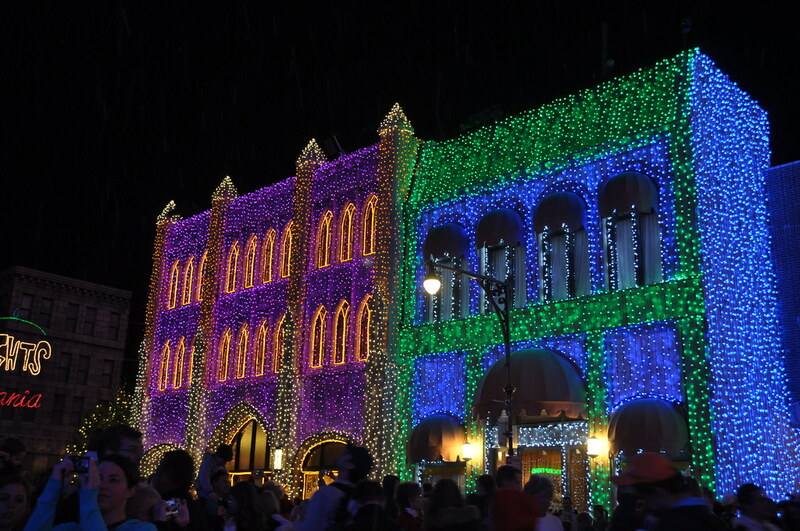 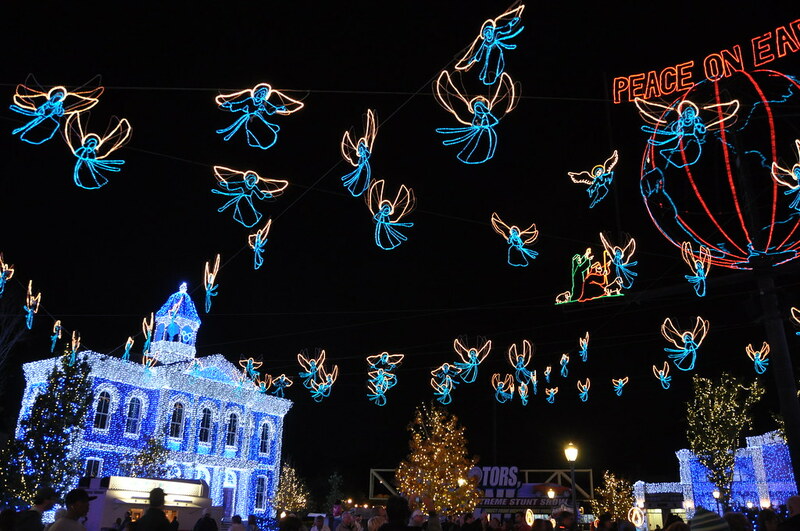 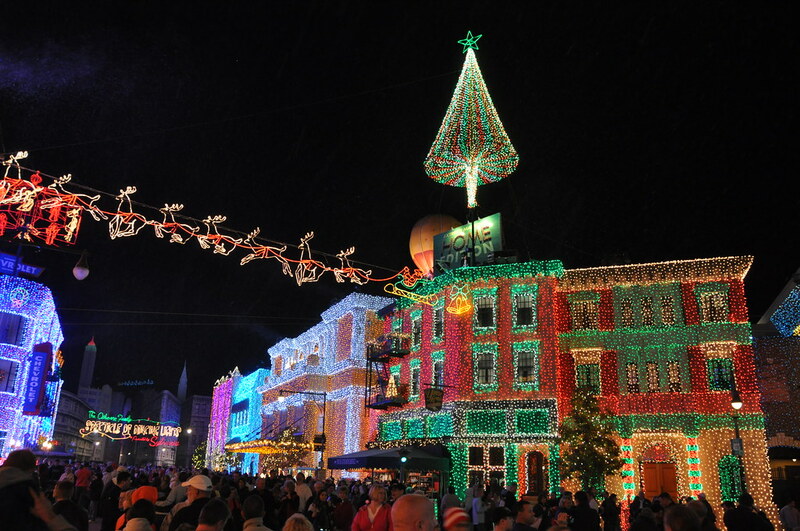 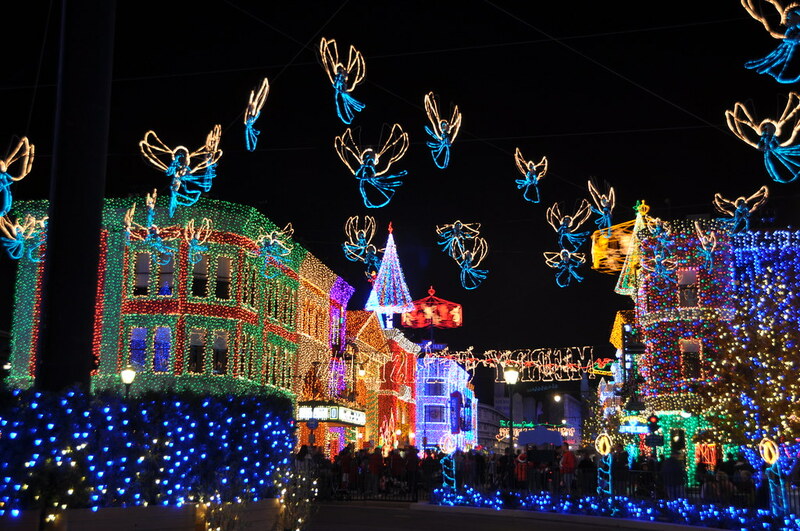 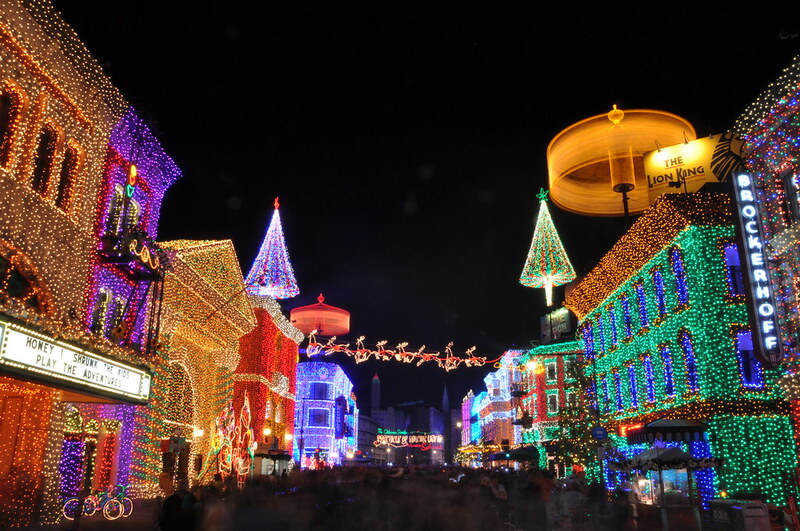 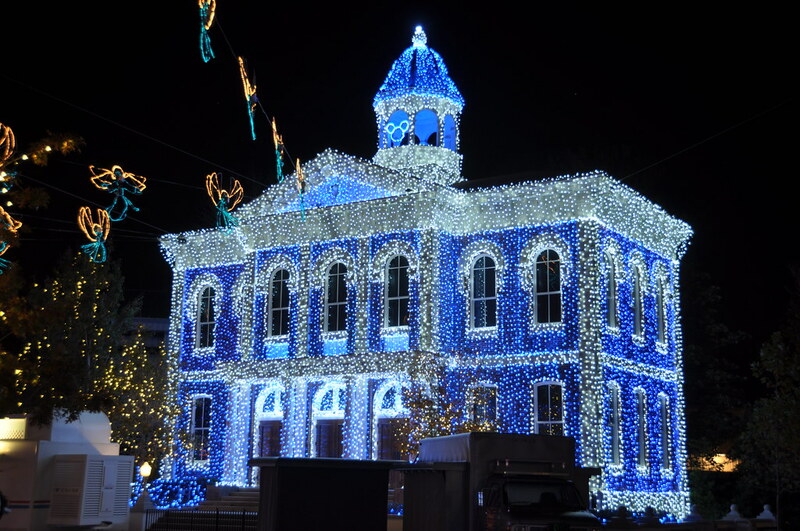 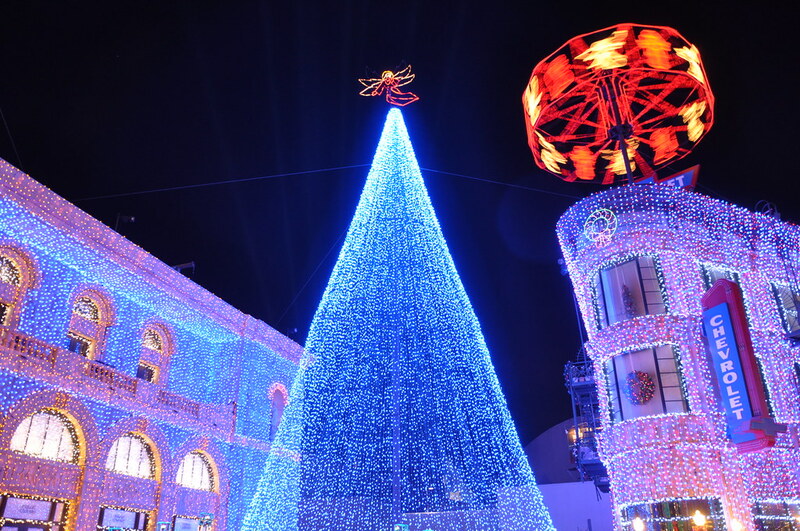 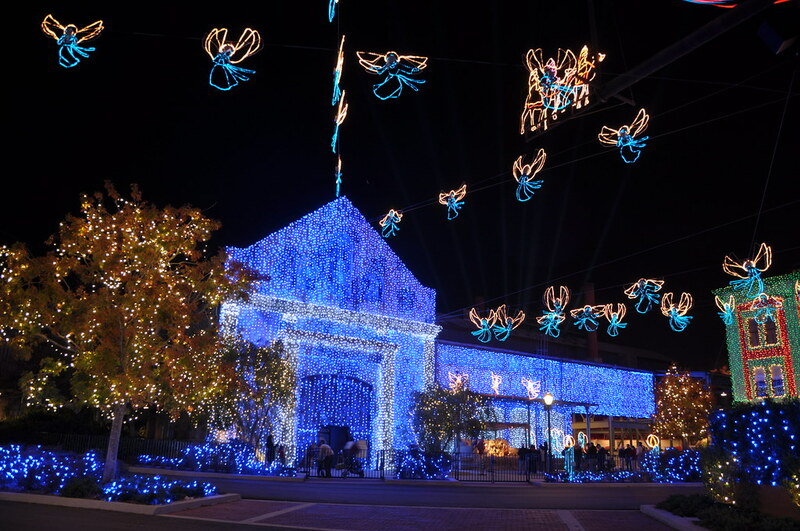 Millions of lights set up annually at Disney's Hollywood Studios. 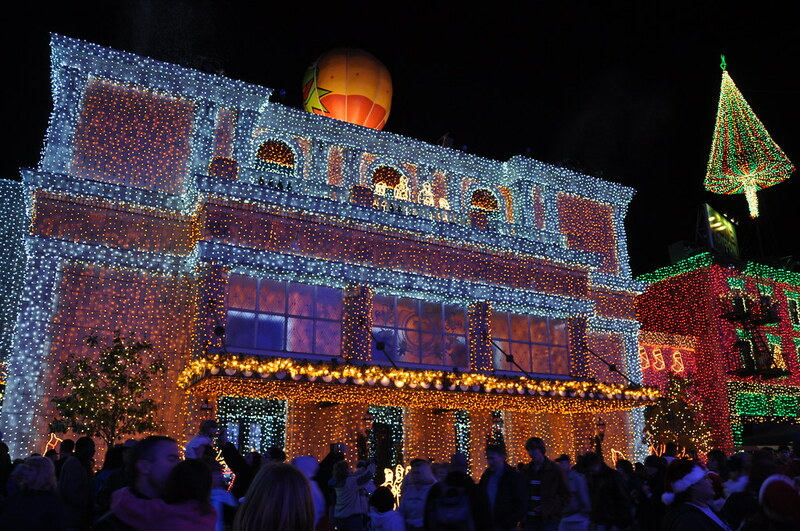 Look up in the top left corner at that haze. 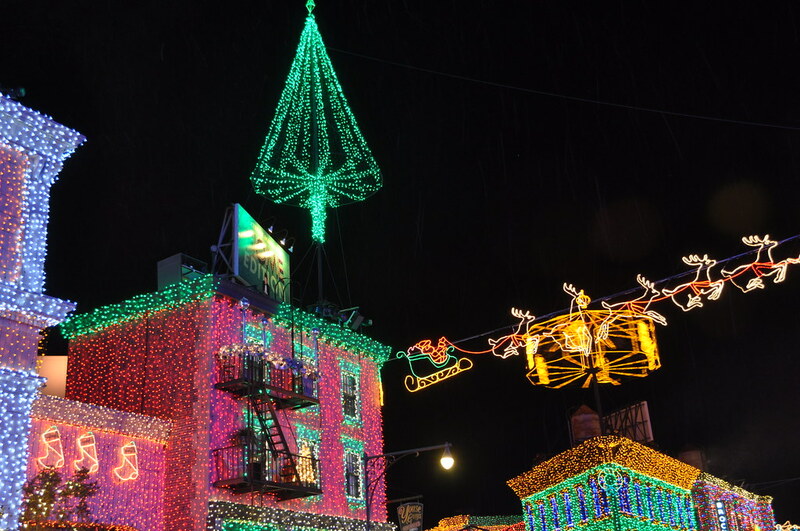 It's simulated snow that falls down on the entire street! 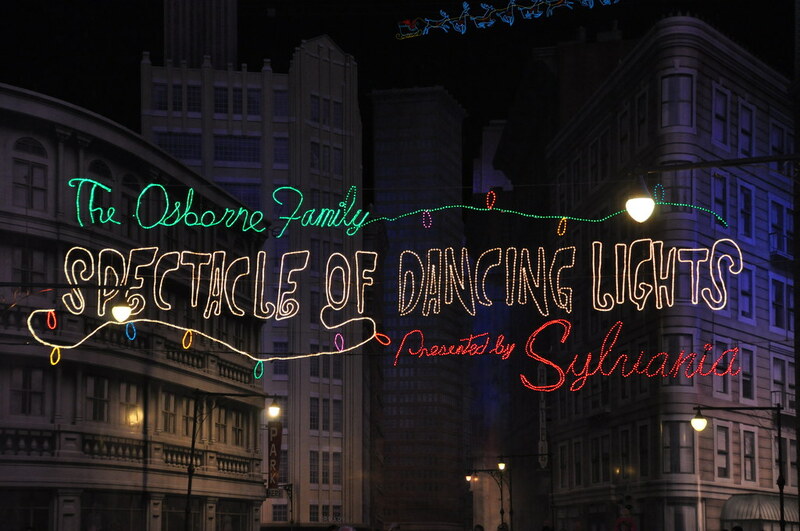 Video part 1. 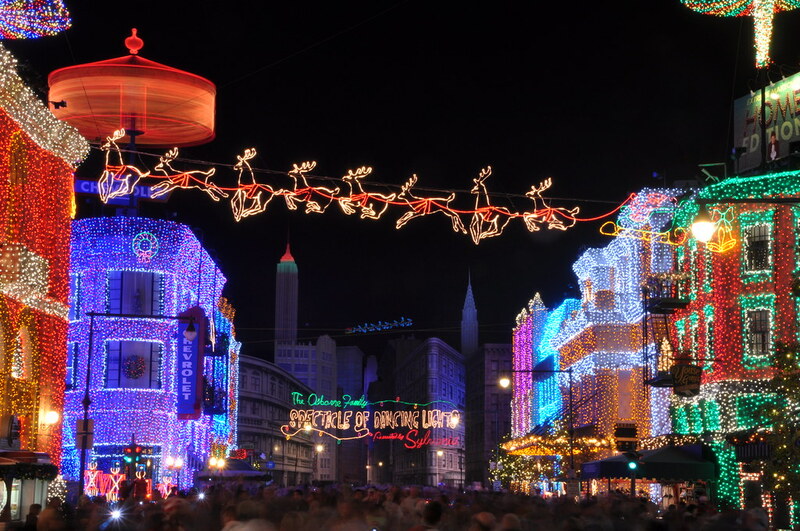 At regular intervals, the lights go into dancing mode, blinking in choreography with music that fills the streets. 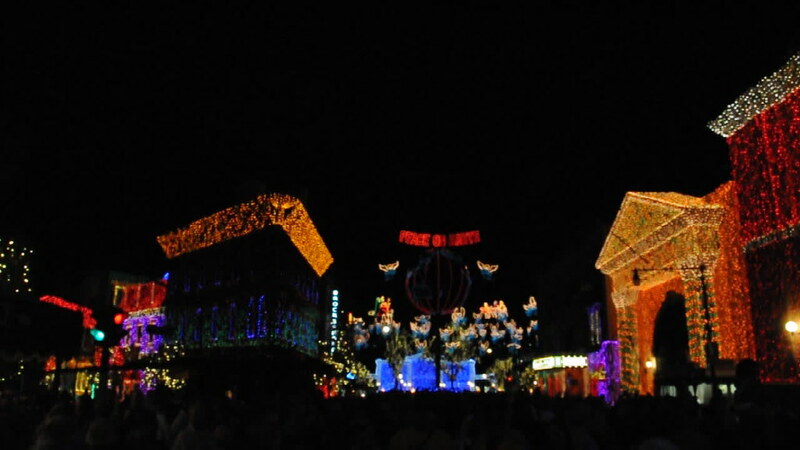 Video part 2. 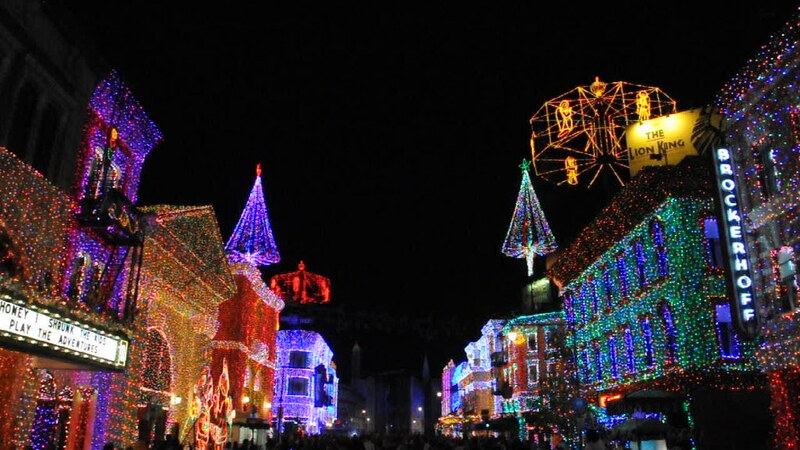 At regular intervals, the lights go into dancing mode, blinking in choreography with music that fills the streets.